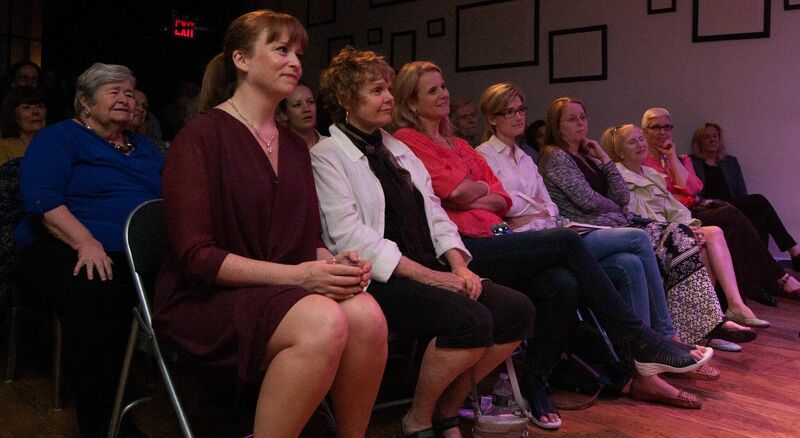 We had much to celebrate at the Cell Theatre on September 15. Our 100th Manhattan Salon featured readings and performances of works developed over the Salon’s first four years and a retrospective of IAW&A Salon photographs by Cathleen Dwyer. The Consulate General of Ireland/New York, represented by Anna McGillicuddy, Deputy Head of Mission, congratulated IAW&A on the occasion. Origin Theatre Company’s Artistic Director George C. Heslin welcomed the IAW&A Salon to its prestigious 1st Irish Theatre Festival this year. And Salon founder Malachy McCourt returned after a brief absence this summer. Malachy’s presence and performance meant a lot to everyone in the SRO house, as he truly is our guiding spirit. IAW&A Treasurer John Kearns produced and hosted the 100th Salon as a curated program of fiction, memoir, poetry, music, dance, visual and performance arts. Cathleen Dwyer, special events, portrait and urban landscape photographer, has taken photographs at the Salon since the early days. Tonight we enjoyed a slideshow of over 100 striking pictures from the first four years. Cat also photographs concerts and does headshots for performers. She is always available for hire and offers discounts to IAW&A members. To purchase prints and see more of her work, go to CatsEyePix.com. Sarah Fearon has shared her comedy routines with us since the beginning of the IAW&A Salon. Her play, “Ted Talks NYC” was developed from her comedy and won first prize at the Short Play Festival at the Players Theatre this summer. From tonight’s sample we can see why: Sarah was fiery, funny and profound. Frequent Salon reader Tom Mahon has presented fiction, poetry, film and even a children’s book. He credits the Salon with helping him complete his novel. “Unforgivable,” a tragic story with a shocking ending, is a vignette from his collection Tomorrow Never Came. Tom told it with his usual dramatic force. Mary Pat Kelly is author of the best-selling novel Galway Bay, and award winning documentary filmmaker. She charmingly described her Chicago Irish roots and her research for her latest novel, Of Irish Blood, excerpts of which she had debuted at salons. Author and filmmaker Colin Broderick delivered a knockout piece about his development as a writer. He has written two memoirs, Orangutan about his first twenty years in New York City and That’s That about his early life in Northern Ireland. He is now editing the collection The Writing Irish of New York. Speaking of knockout pieces, Honor Molloy described her childhood journey from Dublin to America and finding encouragement for her work in NY’s Irish American community. Author of Smarty Girl: Dublin Savage, playwright, instructor, Honor has been a regular contributor since the start of the IAW&A Salon. 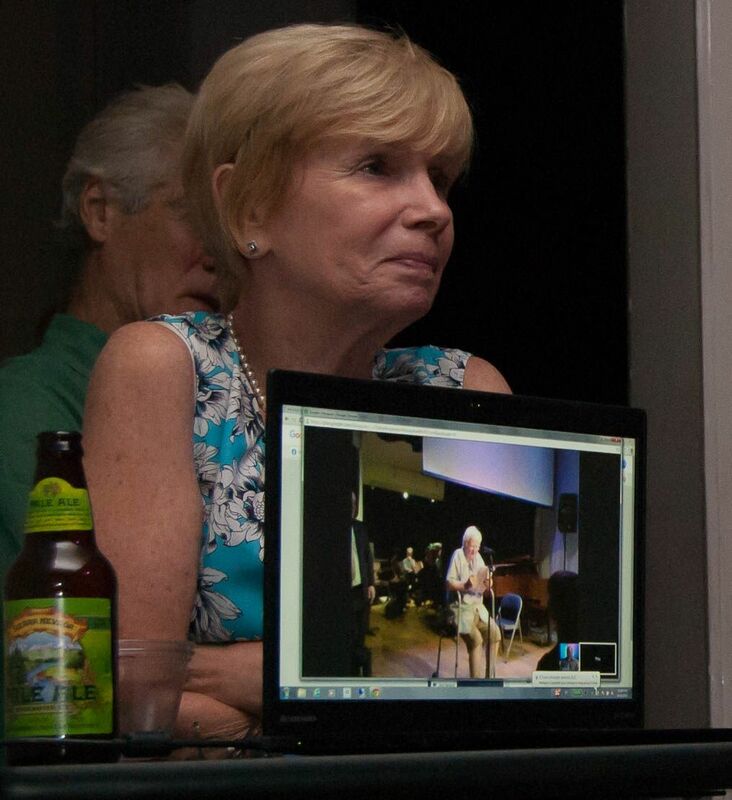 At a fall 2011 Salon, Mary Lou Quinlan read her earliest work on The God Box, a loving tribute to her late mother. She turned that book into a New York Times bestseller, website and mobile app. And with theater veteran, Martha Wollner, a one woman play “The God Box, A Daughter’s Story” Performances around the US, Ireland and at the Edinburgh Fringe 2014 have raised over $300,000 for charities. Brava, Mary Lou! 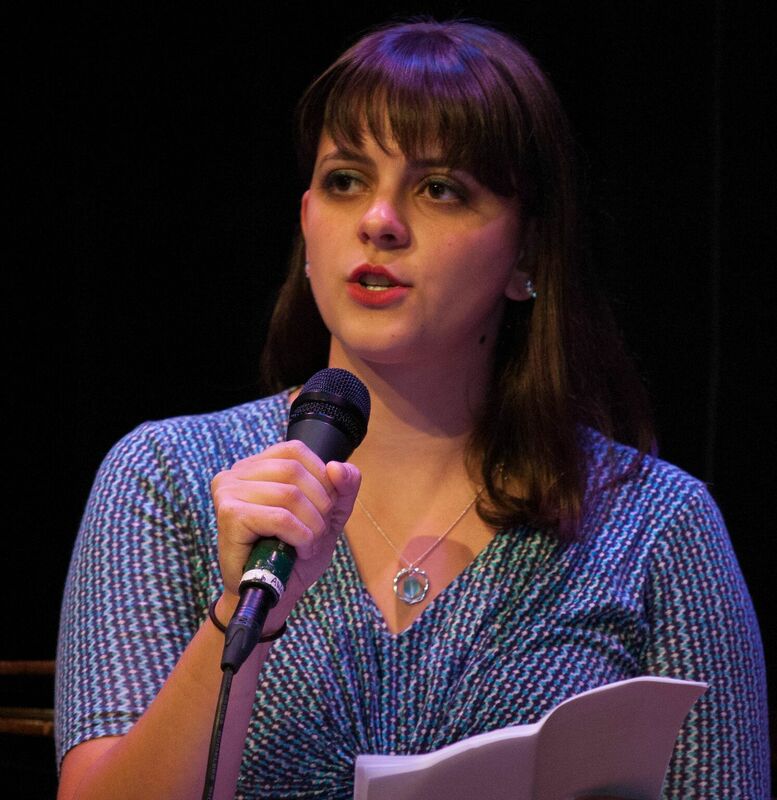 Poet Megan O’Donnell describes her poems as “…attempts to deal with the complexities of gender, race, violence, and survival through the lens of poetry.” They were “Letter to a Young Man,” “ Survival Guide,” “Window Shopping,” “Make Waves,” and a haiku “When. ” The multitalented Megan is award-winning writer of poetry, fiction and non-fiction and lyricist for the jam band, Sofus. In another example of work debuted at a Salon, Maura Mulligan performed sean nosstepdancing for the first time at a Bar Thalia earlier this year. Just a few months later, in August, she won third-place medal in the All-Ireland sean nos competition in the Fleadh Cheoil in Sligo. Trad musician Patty Furlong accompanied Maura on the button-accordion. Patty is a winner of All-Ireland titles and founding member of the world famous Cherish the Ladies traditional music group. More congratulations to Mary Lannon. Her story, “Frank N. Stein,” first presented at a Salon became her first publication in www.storymagazine.org The story tells of a young woman’s quest to leave an imagined monster behind her, for those imaginary monsters can the hardest to shake! Larry Kirwan, IAW&A President, premiered a beautiful new song, “Floating My Way Back to You”, written about his great grandfather, a Wexford sea captain, whose ship went down off Cornwall in 1898. Numerous other artists credit the IAW&A Salon with encouraging and offering a supportive environment to present their work and fostering a sense of community. Some of them include John Brennan, John Cappelletti, Kathleen Donohoe, Kathleen Frazier, John Kearns, Maura Knowles, Margaret McCarthy, and Vivian O’Shaughnessy. Please note the next Salon is WEDNESDAY, 10/7 at 7pm at Bar Thalia.